Bed bugs have largely been thought of as being a problem of the past. Unfortunately, we are now experiencing a wide spread recurrence of bed bugs in the United States and abroad. The most significant factor that explains their return is the increase in international travel. Bed bugs easily get into clothing or luggage and are brought home. Even the finest hotels are not immune. While many bed bugs hide in mattresses, some may also hide in a sofa or chair, or behind wall paper or pictures.Thoroughness is the only real way to get rid of bed bugs. Every corner and crevice needs to be searched. As you might guess, this means that simply getting rid of an infected mattress will not solve the problem. Since their reappearance, researchers have found that the new Bed Bugs are much more resistant to chemica ls that have previously been in use. Insecticides that are often used for roaches and similar insects are ineffective. Bedbugs, in particular, require professional pest control management. 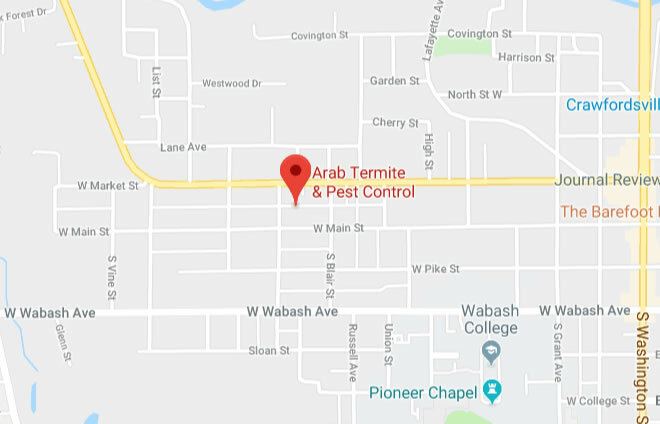 ARAB Termite & Pest Control uses an integrated approach to bed bug control. We use a combination of pesticides,physical barriers, traps, and monitors. Using this approach along with your cooperation we have a proven track record of ridding hotels, apartments, and houses of bed bugs. Give us a call and we can answer any questions you may have. For best results, follow the preparation instructions below, more time spent on proper preparation will be rewarded with faster results. • Pick up clothes on floors and hanging over chairs and wash in the hottest water possible and then run through a hot dryer cycle for a minimum of 40 minutes. Place, these clean dry clothes in a large garbage bag sealed at the top until the treatment has been completed. • Cabin beds/beds with built-in storage. Remove all clothing items from these storage areas and launder and dry at high heat. Place these clean dry clothes in a large garbage bag sealed at the top until the treatment has been completed. • De-clutter, this will assist in removing potential bed bug harborages. Check items for signs of infestation. • Move all furniture items away from the walls to allow access the base boards around the entire room. • It is not necessary to remove clean clothing or other items from draws or cupboards unless these items are clearly heavily infested (visible bed bugs). Ornaments and other items can be left in place. • Vacuum baseboards to remove dust build-up from these areas. Remove the vacuum cleaner bag or contents of the canister, place in a plastic bag, and dispose of in the trash can outside your apartment/home. • Cover fish tanks, terrariums and small animal cages with a clean towel or sheet. •Remove all outlet covers in all rooms for dusting treatment. After service, please put back on walls. This does not have to be repeated for the second service. • Finally, remove all sheets, covers, dust ruffles, comforters, pillows, and any other bedding covers from your mattress and box spring in all bedrooms. Wash all bed linens in the hottest water possible and then run through a hot dryer cycle for a minimum of 40 minutes. Replacing the original bedding without treatment at high heat is likely to reintroduce bed bugs to the treated room, which could result in control failure. • DO NOT SPRAY ANY PESTICIDES OR CLEANING PRODUCTS IN TREATED AREAS AFTER THE APREHEND® TREATMENT. THIS WILL KILL THE APREHEND® AND RESULT IN CONTROL FAILURE. • Allow the treatment time to work, do not clean or remove the spray barriers. In most cases barriers will have been applied in inconspicuous areas, but if infestation was suspected behind baseboards or electrical outlets, a 2” spray barrier may have been applied on the wall above or around these installations. Under certain lighting conditions, these barriers may be visible. Leave these in place until you are certain that the infestation has been eradicated. The barrier will remain active for up to 3 months if left undisturbed, but is easily removed with kitchen or bathroom spray when required. 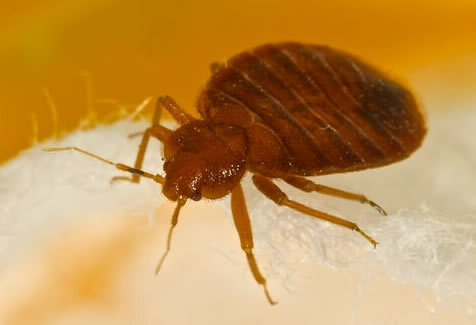 • Live bed bugs may be visible for 2-3 weeks after the treatment. Affected bugs may be seen wandering in unusual places, this is a sign that the treatment is working. Remember that bed bugs may not leave their harborages for a number of days after treatment, and nymphs hatching from eggs will not be affected until they cross a spray barrier. However, all bed bugs will die within 3-7 days after coming into contact with Aprehend®. Contact your PMP if you still see live bed bugs 30 days after treatment.